M&M SUP Amsterdam offers SUP classes, SUP courses, SUP yoga, SUP pilates, SUP tours and SUP events in the city of Amsterdam and at the Amsterdam city beach. Come join one of our SUP classes, SUP tours, SUP yoga sessions or one of our the SUP events we organise. 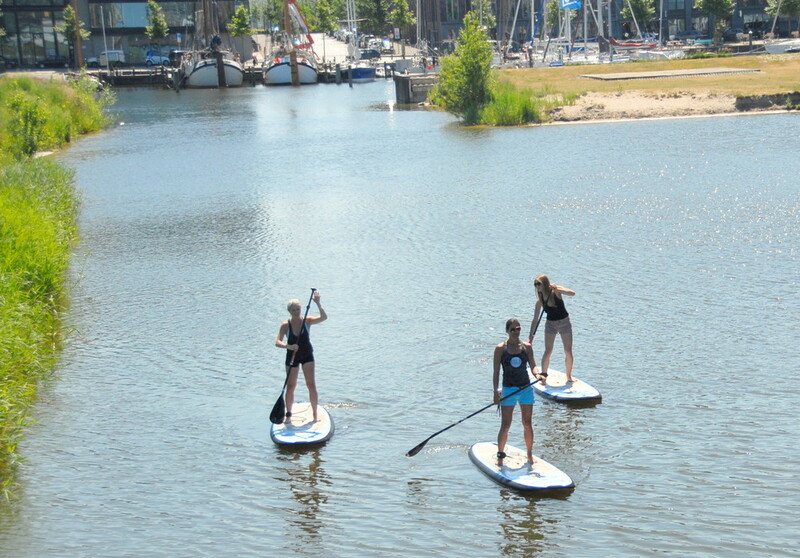 We hope to meet you soon in Amsterdam to come and experience Amsterdam and surroundings from a stand up paddle board. We can teach you the basics, techniques and advanced techniques. Our certified M&M SUP crew is happy to welcome you and share the stoke! Stand Up Paddling is a fun way to spend time on the water and working on your body. We offer classes at IJburg beach and in Amsterdam. We are open from April 1st till early fall. Amsterdam is a beautiful city and perfect to paddle through. Once you have attended a couple of classes, or if you are an experienced paddler come join us this season for different tours we offer like an Amsterdam paddle tour, Full Moon Paddle or Paddles to locations such as Muidercastle. Don't forget to have a look at our news page for some other SUP events & trips we are offering. We also offer early bird tours at IJburg or some extra sup yoga sessions in summertime, don't miss these! Love Yoga and Pilates and you are up for a new challenge? Come join a Sup & Yoga or Sup & Pilates session thought by one of our certified teachers and enjoy the feeling of a floating ‘mat’ while you hear the water and singing birds around you. Also fit for non yogi's who are up for some stretch and looking for a fun way to get some extra core training or just something new to try. No yoga, pilates or Sup experience required for any of these sessions. We are there to guide you through the class.